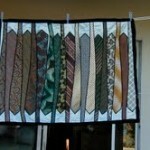 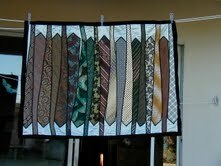 To celebrate a lifetime of friendship with Moise, a merchandising manager for Wembley ties (in quilt). 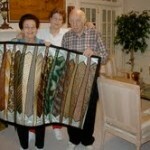 This is a picture of Zerline, Judy and Moise with the quilt.. 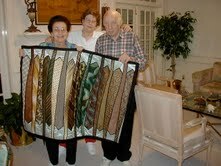 This is a picture of the quilt.